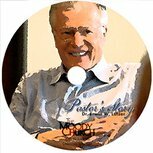 From farm boy in Canada to senior pastor of one of the most influential pulpits in America, Erwin Lutzer's personal journey is sure to inspire. 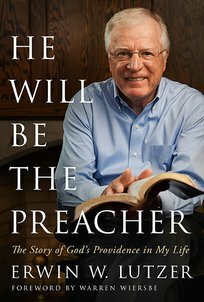 Through the backdrop of history-from the Billy Graham crusades, to the racism in the South, to Dallas during the JFK assassination-Pastor Lutzer's memoir walks through his life as he considers God's sometimes mysterious leading and protection in his life. The reader will see God's hand move the pastor unexpectedly to the US, to Chicago, and then finally, through a providential parking spot, to an unexpected preaching invitation at the historic Moody Church. With an exhortation to the Church to prepare for an uncertain yet secure future, He Will Be the Preacher shows God's providence in Pastor Lutzer's life and will encourage readers to consider it in theirs.